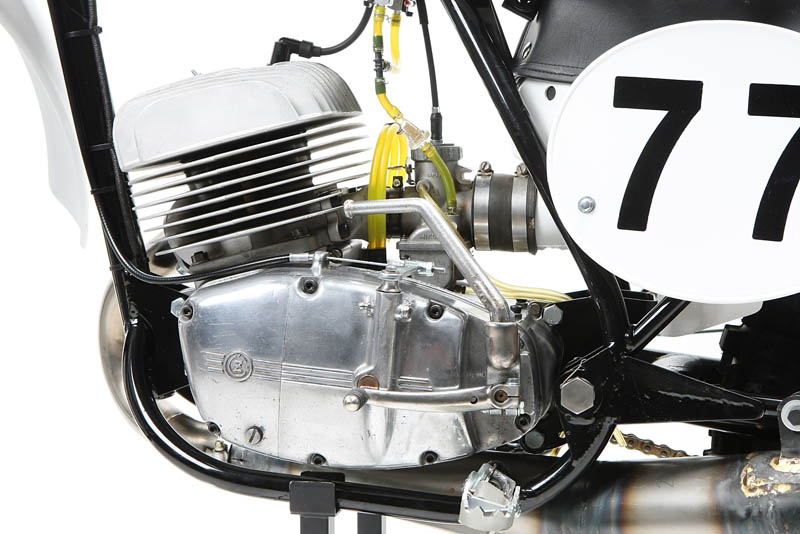 In the world of modern day vintage racing, it’s hard to beat a CZ when it comes to power, handling, and overall fun. 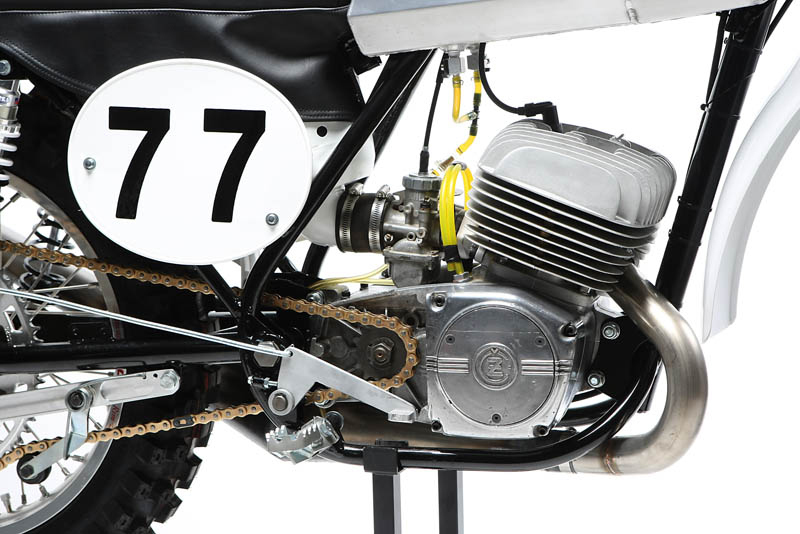 Manufactured in Czechoslovakia, CZ Motorcycles quickly grew in popularity following World War II with the company garnering success in Grand Prix road racing before transitioning to motocross. 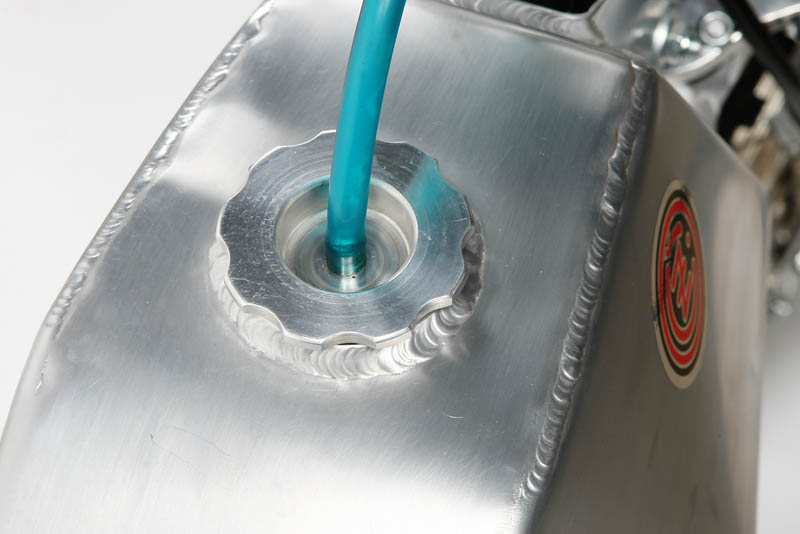 Belgian motocross legend Joël Robert won three world championships aboard the bike while Russian racer Victor Arbekov garnered one and German Paul Friedrichs won three consecutive titles aboard CZ machines. 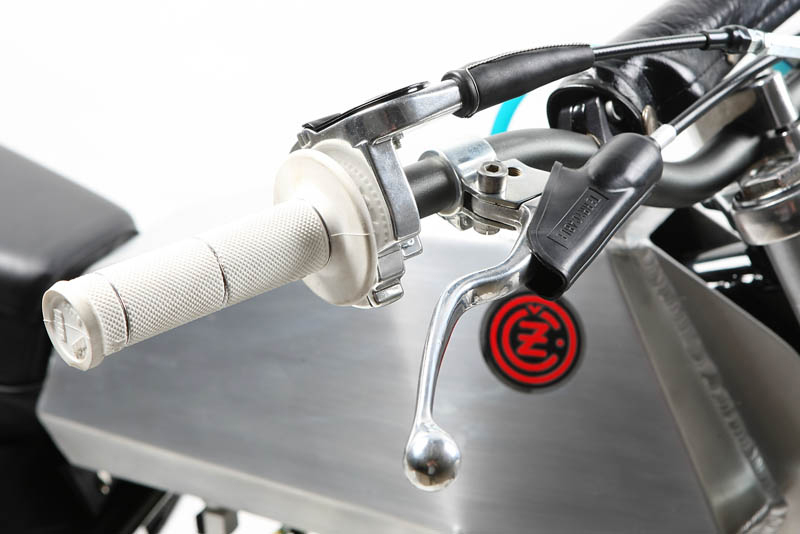 Through the success, CZ became known as the dominant manufacturer for motocross bikes, and was the first to introduce expansion chambers on exhaust systems. Unfortunately, with the introduction of inexpensive and more advanced Japanese bikes in the 1970s, CZ lost a considerable amount of the market until ultimately selling the motorcycle manufacturing side of the company to Cagiva. 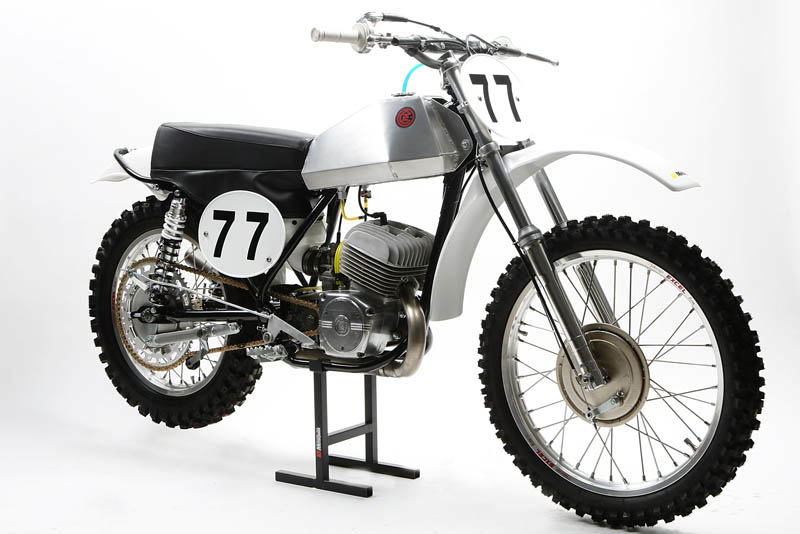 In spite of this, CZ bikes will always be remembered for their speed, innovations, and dominance of 1960s and early ‘70s motocross racing. 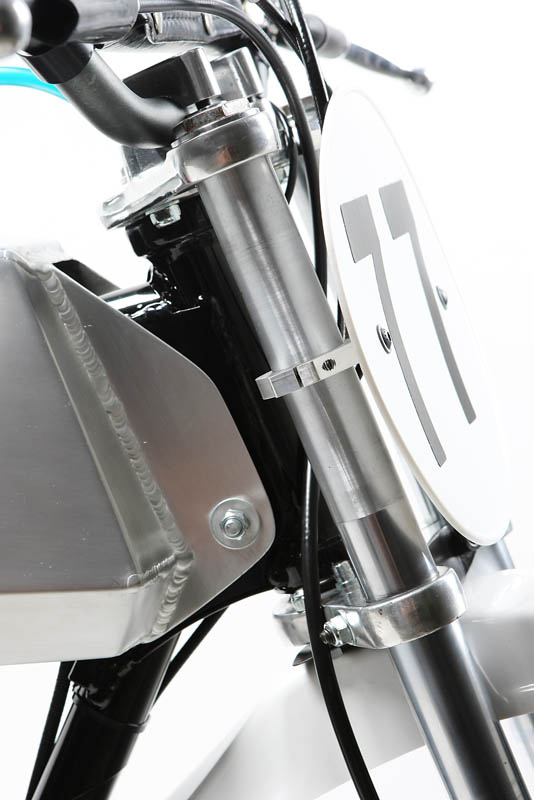 This particular 1972 CZ250 was restored by Bill Lutes, and like his other vintage bike—a 1972 Penton Six Days 125—the CZ was originally purchased by him. 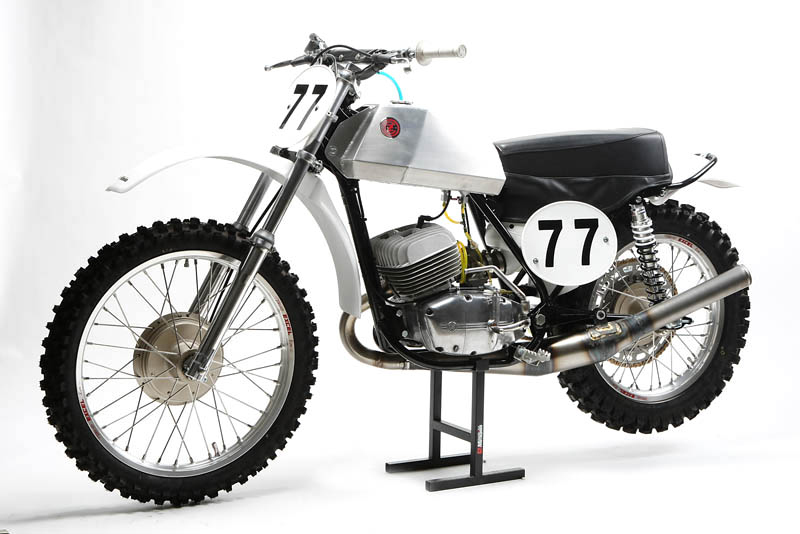 The bike now resides in Southern California where he has passed it down to his son Brendan Lutes who regularly races the bike at local vintage events, including the recent Hell On Wheels Stadium Steeplechase at Glen Helen Raceway. 1972 CZ250 restored by Bill Lutes. 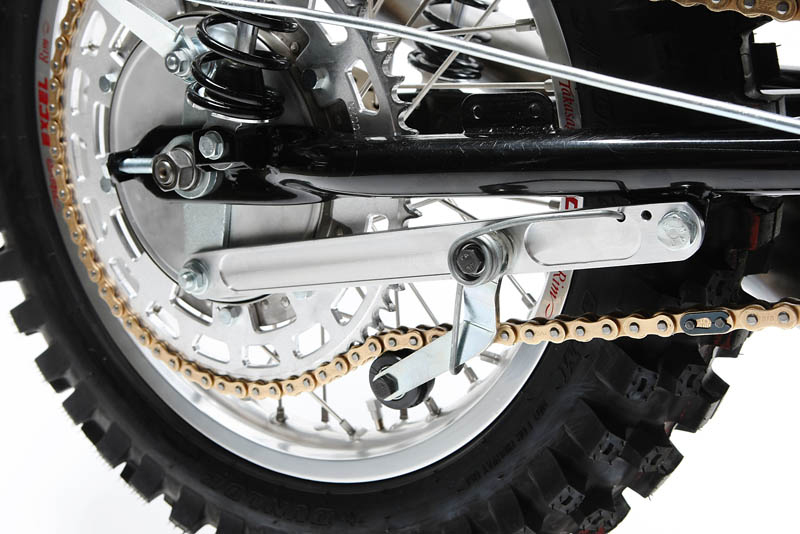 This aftermarket chain tensioner keeps the chain from derailing. 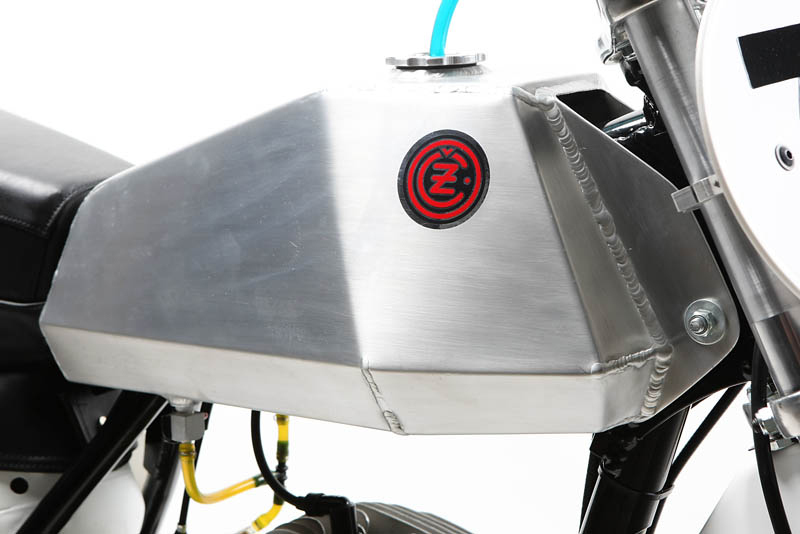 An aluminum coffin tank was added to the bike. Back in the 1970s, these tanks were used for motocross. 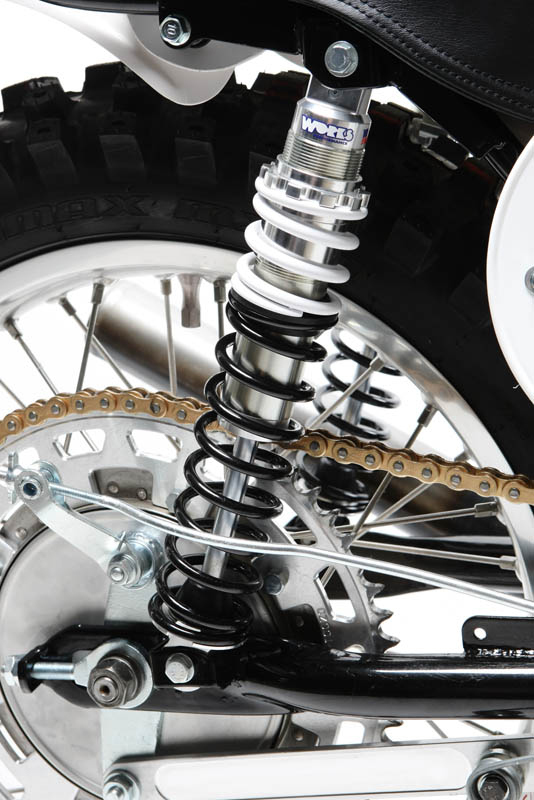 Works Performance shocks help to give the CZ a smoother ride. 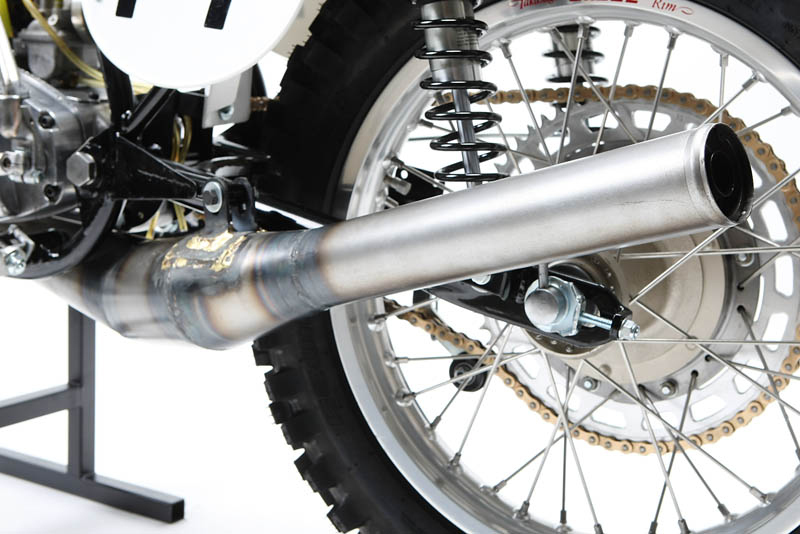 CR Performance sells brand new exhaust systems like this one for CZ motorcycles.